Real stone veneer or natural stone veneer is a product that is commonly used to beautify interior or exterior projects. Real stone is offered as a full bed depth or thin veneer. Natural thin veneer stone is fieldstone, granite, sandstone or quartzite, that has been cut, split, shaped and sawn to a thickness typically one (1) inch. It is used as a siding for homes or commercial buildings. Thin stone veneer was first developed in the late 19th century, but there were materials developed much earlier that foreshadowed the use of stone veneer. Thin stone veneer has made the use of natural stone more economical and practical. It can be applied to any vertical surface without the need of a footing. Certain modular patterns lend themselves to a consumer installation for those of you wishing to tackle your own projects. Real stone that is full bed is typically 3-6 inches thick. It requires a foundation shelf due to its weight of 40lbs per square foot. Typically a stone mason will use a masons hammer and shape the stone to fit together and applies mortar in between to interlock the layers and fill the voids. Modern stone veneer first made its appearance in the late 1800s. It was cut into thick portions and then hand tooled into the appropriate panels; the stones that were used were “granite, marble, travertine, limestone, and slate.” Early in its development, thin stone veneer only had the capabilities to be utilized in areas such as the inside of buildings, street-level facades and storefronts. 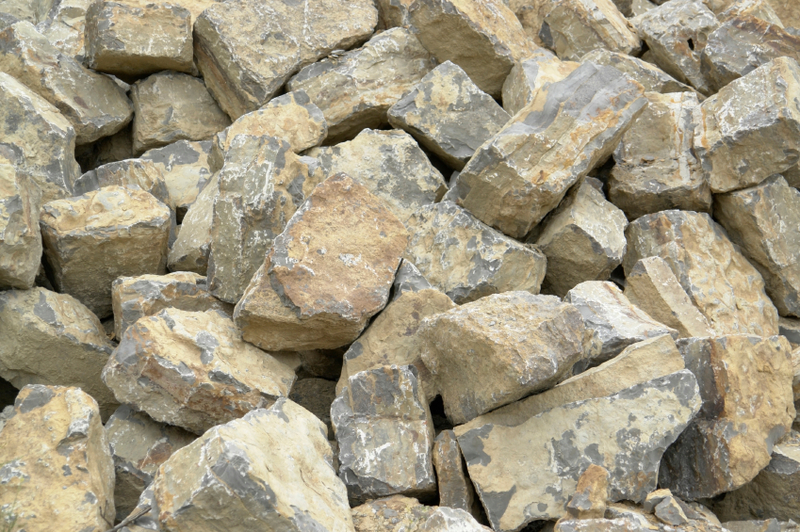 Natural (real) stone is the perfect material to use for exterior and interior applications. It can also be used at or below grade, such as a veneer over a concrete foundation. Because natural stone has been created by natural forces the color and texture of the stone is present throughout the entire piece and can be trimmed, and “worked” during the installation process to achieve the finished look that is desired. Thin natural stone veneer weighs less than 15 pounds per square foot (lbs/sf). It is installed directly to a vertical wall without requiring a supporting masonry shelf. Properly installed, this material will perform perfectly during many life-times of freeze-thaw cycles, blazing summer sun and pounding spring rain. Best of all natural stone will not fade and is the most resistant to extreme environmental factors looking like new for a very long time. Flagstone is a generic flat stone, usually used for paving slabs or walkways, patios, fences and roofing. It may be used for memorials, headstones, facades and other forms of construction. Cobblestone is often retained in historic areas, even for streets with modern vehicular traffic. In recent decades, cobblestones have become a popular material for paving newly made streets for pedestrians in Urban areas. We have wall stones in pattern cut, tumble cut, and stand up irregulars. Our selection is huge and our prices are competitive. We carry better product lines for a better price than the larger warehouse stores. Also know as porcelain stoneware, veneer is manufactured under high pressure by dry-pressing fine processed ceramic raw materials with large proportions of quartz, feldspar and other fluxes. Stoneware tiles with glaze are classical ceramics for floors. Compared to earthenware, stoneware has a higher density and a better mechanical strength.